Investigations into sexual misconduct by faculty at a renowned New Hampshire prep school have found their way into the state's high-profile U.S. Senate race between incumbent Republican Kelly Ayotte and Democratic Gov. Maggie Hassan, whose husband is a former principal of the school. News broke in late March that a teacher at Phillips Exeter Academy was forced to resign in 2011 and later stripped of his emeritus status after admitting to two past instances of sexual misconduct with students - information that was not disclosed publicly under the tenure of Hassan's husband, Thomas Hassan. Maggie Hassan accepted money from Rick Schubart and listed him as a public supporter of her 2012 gubernatorial campaign even after he left the school, a fact Republicans immediately seized on as evidence of poor judgment. She's since apologized and donated $1,000 to a local organization dealing with domestic and sexual violence, but the story hasn't stopped there. 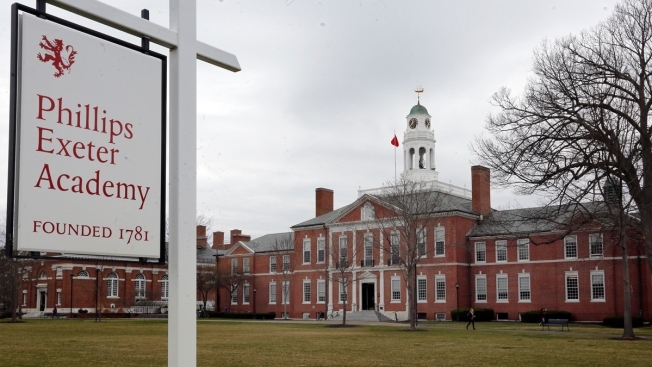 Police are now looking into four additional allegations of abuse by other faculty, including a current teacher, and Phillips Exeter is conducting its own investigation into how Schubart's case was handled. Thomas Hassan has been formally censured by an international boarding school association for not disclosing Schubart's wrongdoing before the former teacher was given an award in 2012. Republicans are hoping the issue will stick to Maggie Hassan, who's had no major missteps in her campaign so far, as more information trickles out. "The people of New Hampshire, especially the victims and their families, deserve to know what Maggie Hassan knew about Schubart's actions, and when," said National Republican Senatorial Committee spokeswoman Alleigh Marre. Democrats, meanwhile, say Republican attempts to tie Hassan to the scandal are misguided. "This isn't something that's going to be a huge watershed moment in the race, much to the Republicans' dismay," said Lauren Passalacqua, national press secretary for the Democratic Senatorial Campaign Committee. Linda Fowler, a professor of government at Dartmouth College, said that with what's come out so far, the issue is unlikely to hurt Hassan in November. "It's hard for me to imagine come fall that this story is going to have any legs," she said. Ayotte, a former prosecutor, must walk a fine line between highlighting the issue without appearing to exploit it. She continues to say questions need to be answered about how the school handled the case, but in an interview with New Hampshire Public Radio, she did not clarify what specific questions are outstanding. So far in the Senate race, it's been Ayotte on the defensive. Democrats are whacking her for her opposition to holding hearings on President Barack Obama's Supreme Court nominee and she's taking hits in her own party, facing a primary challenge from the right and bracing for the possibility that Donald Trump will be the GOP's presidential nominee. "Everything has been breaking against the Republicans in terms of the overall environment," said Fergus Cullen, a former chairman of the state Republican party. But longtime political observers doubt whether the Phillips Exeter case will hurt Hassan, despite her husband's involvement. Judy Reardon, a former top aide to Democratic U.S. Sen. Jeanne Shaheen, said voters are able to separate a candidate from the actions of his or her spouse. "It's hard for me to imagine the person who would otherwise vote for Maggie Hassan saying, 'Well, I don't know, her husband didn't exercise good judgment, I think I'll vote for Kelly Ayotte,'" she said.